Are you tired of sock goblins stealing your socks? Hanging out your laundry on a sunny day can be a pretty zen experience. The sun, the fresh air, the butterflies flying past! Until you get to your socks and it becomes a case of ‘Oh crap! Why is there only one sock?’ which is usually followed by a little bit of sock rage. Sometimes, no matter how careful you think you are, socks just go missing and the only logical explanation for their disappearance is sock goblins. 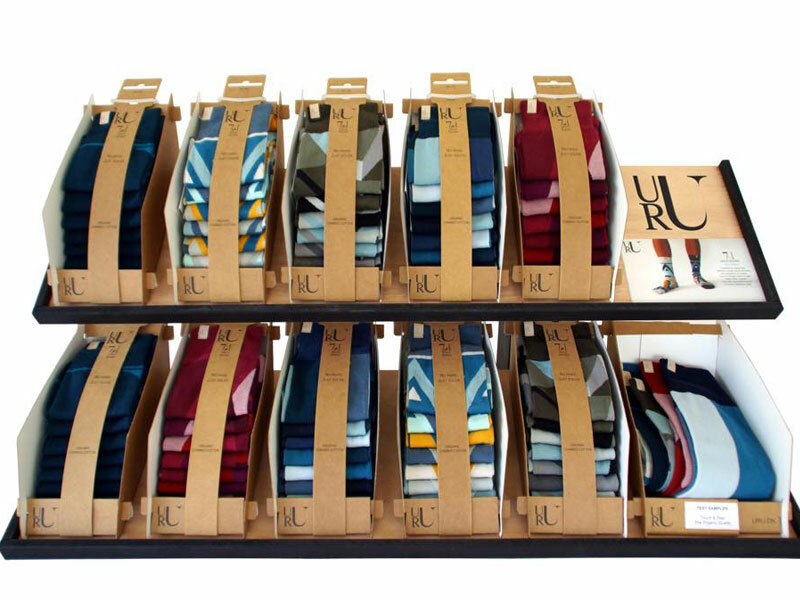 The crew at URU Design (lovers of Danish design, practical innovation and sustainable quality products) are one step ahead on the sock goblin research game and have worked out a way to fool those pesky sock stealing closet loiterers. Instead of selling the regular pair of socks, URU provide packages of ‘Solosocks’ which turns sock ownership (and goblins) on its head by giving you single socks in a package. Confused? Good! If you are confused imagine how confused the goblins will be. 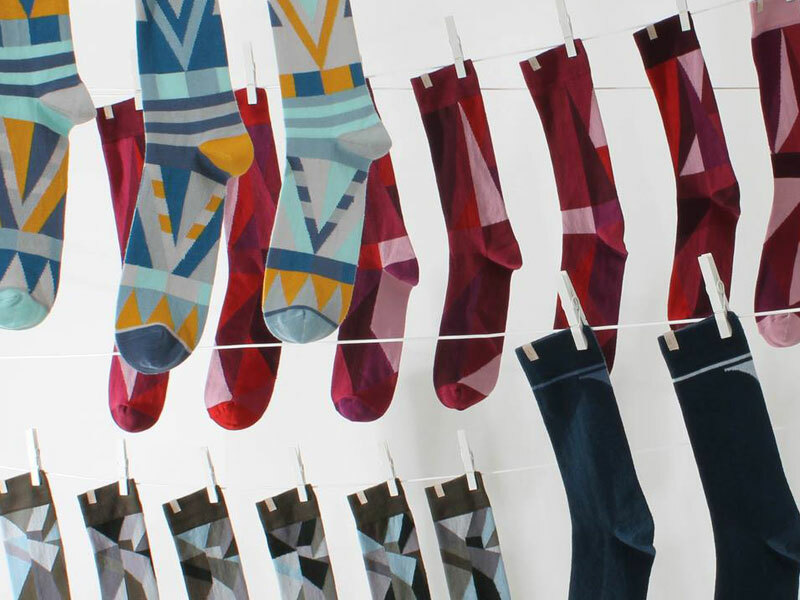 The idea of Solosocks is to give you freedom from pairs. These organic cotton socks are sold in a package of five or seven individual socks, all of which are designed to be matching but not necessarily identical. The packaging that your socks are sold in also transforms into a sock storage container that is designed to fit into your draw. This seemingly simple concept will not only liberate you from worrying about ‘pairs’, it also means that if you happen to have the sock goblin visit, the disappearance of one sock won’t affect a single other sock. Your sock draw will go from monogamous couples, to a line of dancing Beyoncé socks singing ‘all the single ladies’ while celebrating their independence from the shackles of sock partnership. I will admit that while I don’t own any official ‘Solosocks’ I have implemented this system in my closet a while back, buying nothing but identical black ankle socks and keeping them all in a basket. It’s a liberating experience to no longer have to think about ‘pairs’ or where the other matching sock went to. So it’s pretty awesome that you can now get packages of ‘same-same-but-different’ socks that look way nicer than my pile of black ankle socks. A stroke of genius team URU! Do your socks prescribe to polyamorous ways of living? Perhaps they are strictly monogamous? Do you have regular battles with sock goblins at your place? Share your sock stories with us below. NextConscious Coupling: Eco Dating is a Real Thing. Brilliant! I would love to see your sock collection. They sound very fun and unique. You could take a photo of them and share for the #garmentgratitude movement if you like? I’m shocking, I wear socks that have more holes than socks. Ged always laughs at me when I take my shoes off and i’ve got holes with a little bit of elastic and fabric holding them together. I need to get myself some sock darning skills!